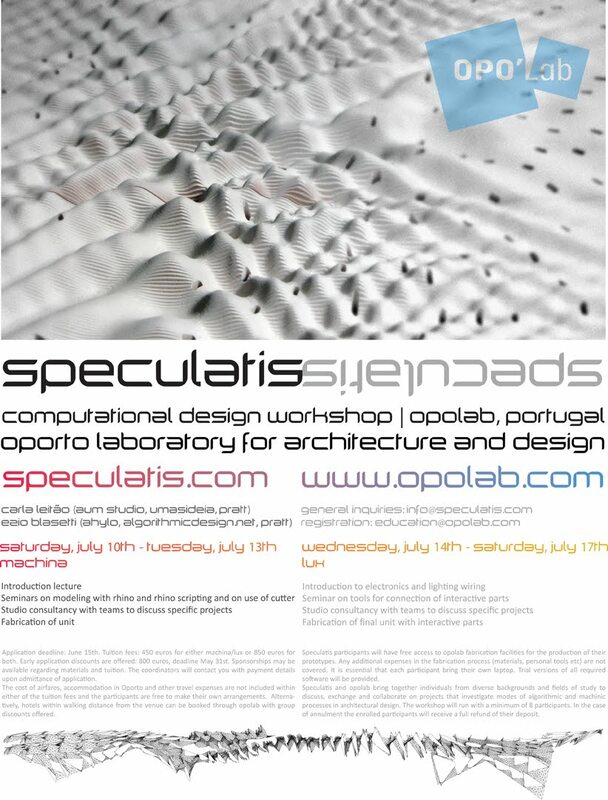 The deadline for applications for the SPECULATIS workshop has been extended until June 25th!! 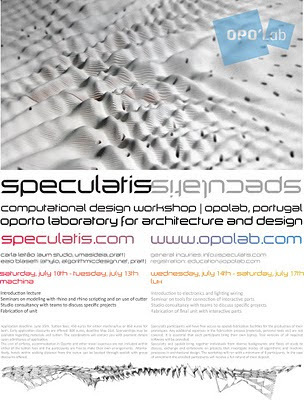 SPECULATIS is a workshop that introduces and explores techniques of algorithmic design and fabrication integrated with interactive components. The platform integrates seminars and construction of a design piece at natural scale - a working chandelier - as a mean of investigating different techniques and potentials present in the intersection of morphological discovery through algorithmic processes, fabrication technologies, and interactivity modulation. Rhino, RhinoScript, Grasshopper, Arduino, Processing, CNC, sensor technology. The workshop will be held on July 10-17 in Oporto, Portugal.